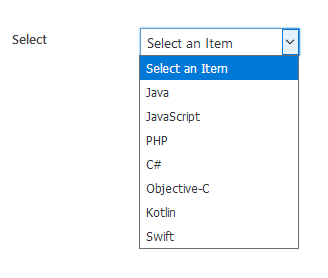 The select field creates a simple select dropdown. You are able to select one or multiple values from the predefined list. flatten Display sub items without indentation. true or false (default).